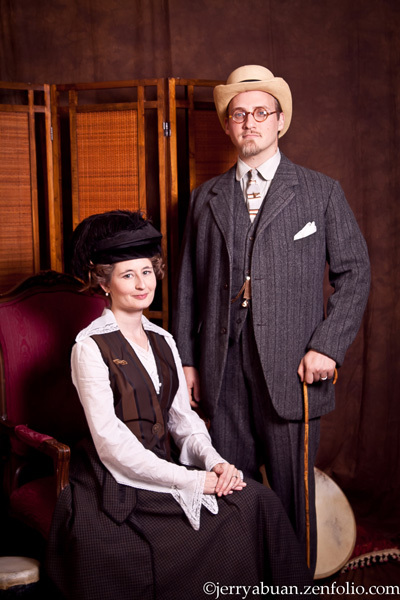 This past weekend we went for the day to the Gaslight Gathering- a Steampunk and Victoriana convention. The very talented Jerry Abuan snapped some photos of us, so I wanted to share! Here is my outfit. I actually made this for Costume College last year but only wore it for about an hour so it was nice to dust it off and wear it again. 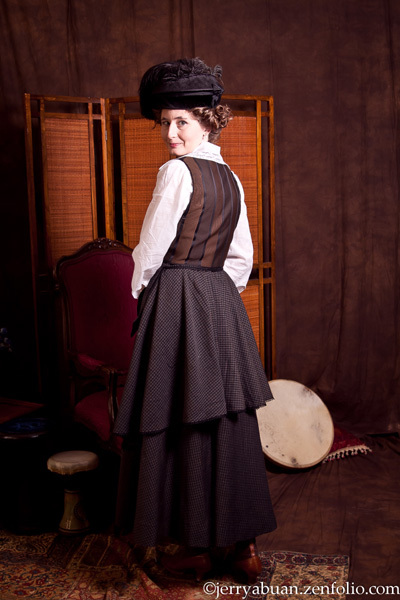 The blouse and vest were made from an original 1910s pattern and the skirt was made from a Past Patterns Attic Copies reprint of a 1917 skirt. The fabric of the blouse is cotton batiste with French cotton laces and covered buttons for trim. 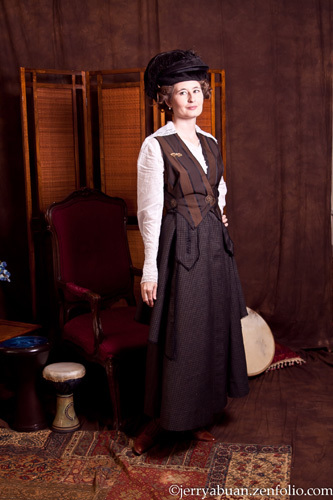 The vest is made from a silk blend fabric and decorated with original Victorian buttons. The skirt is made from a vintage wool and has black silk shantung trim for the welt pockets. The hat is original vintage. Since it was Mothers Day I thought it would be great fun to take my mom to this event. 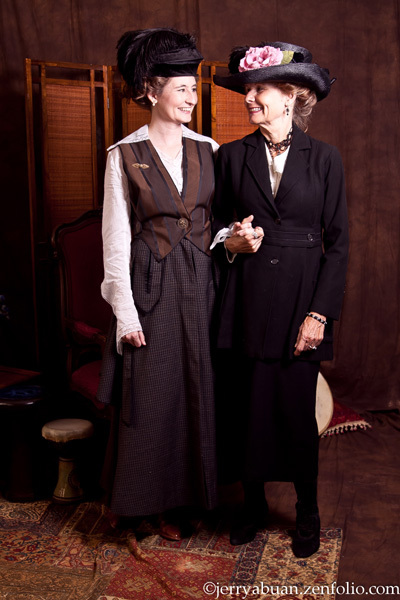 She enjoyed getting dressed up and wore a hat she bought at Costume College several years ago with an original 1910s jacket. I had not seen the jacket since I was younger and it truly is beautiful with rows of buttons and a neat faux belt. Many thanks to the talented photographer Jerry Abuan for these photos and allowing me to post them here! I highly suggest you visit his website so you can see how beautiful his photos are! The rest of the photos he took of the event are here, and there are some gorgeous costumes, including some of Val from Time Traveling in Costume, and Jennifer from Historical Sewing.